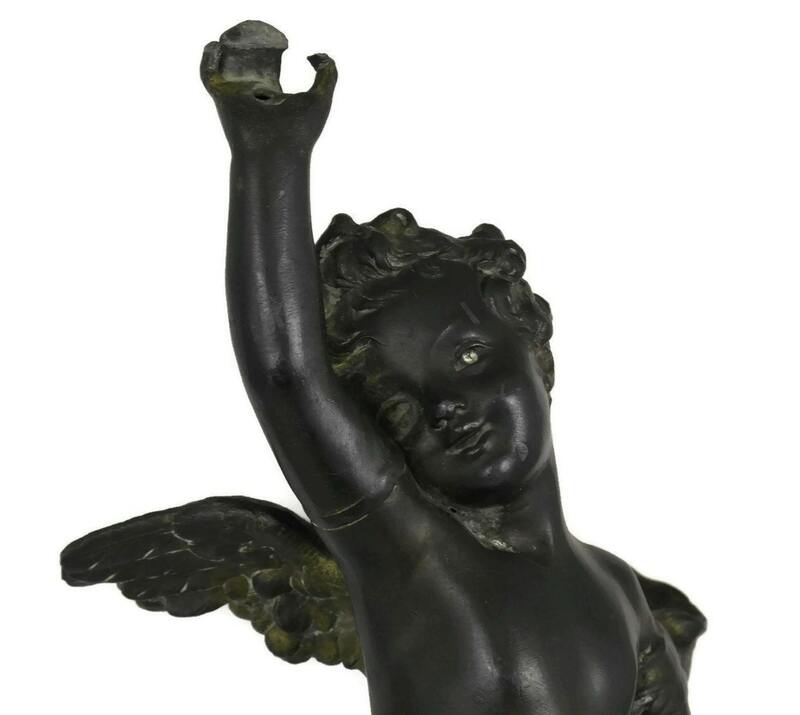 An exquisite antique angel figurine dating from the 19th century. 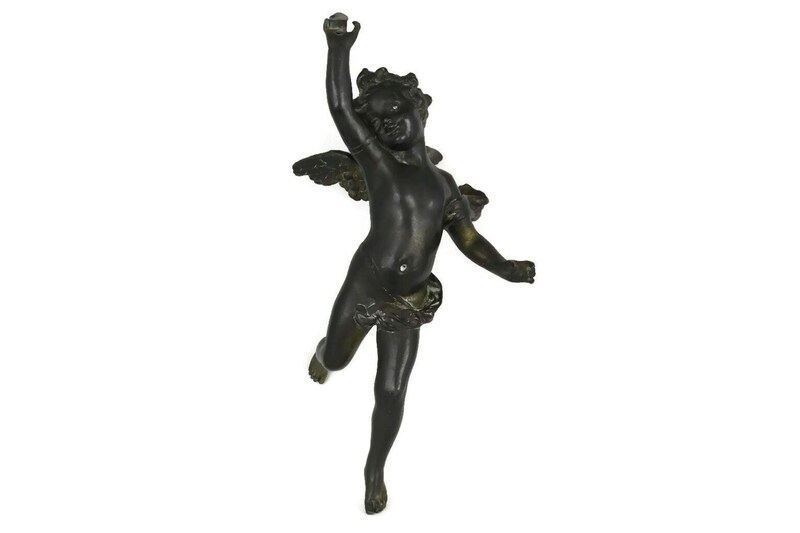 It once decorated a French crystal chandelier and was suspended from the ornate light fitting. 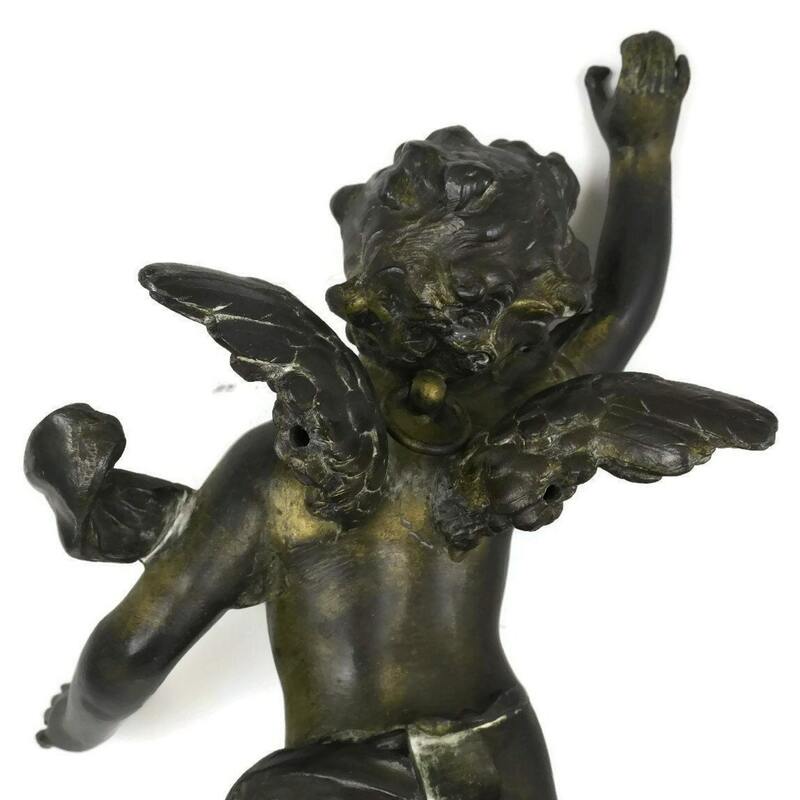 The figurine has a metal hanging ring on the back between the pair of wings. 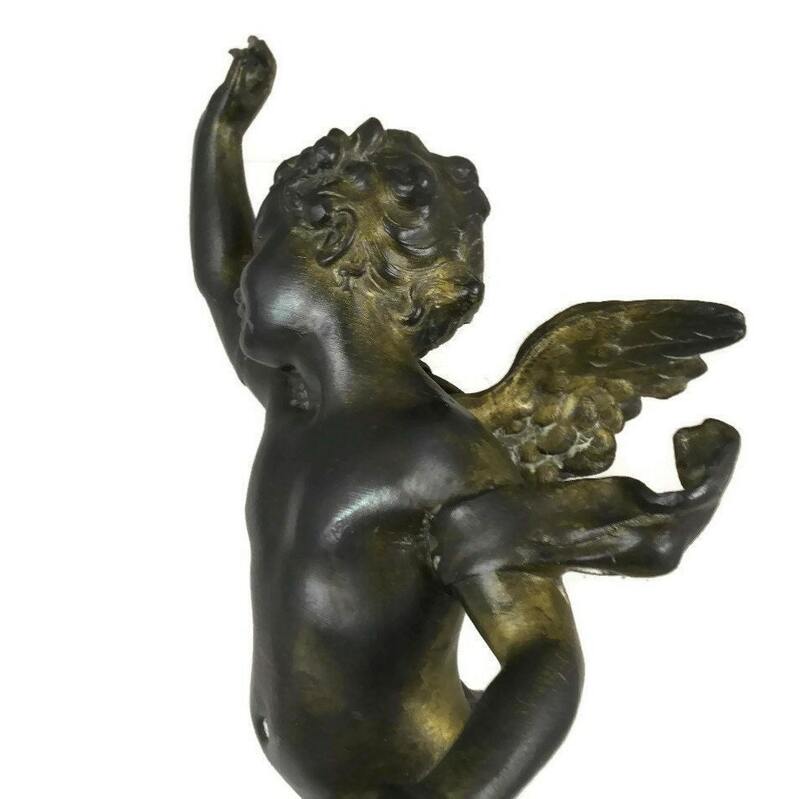 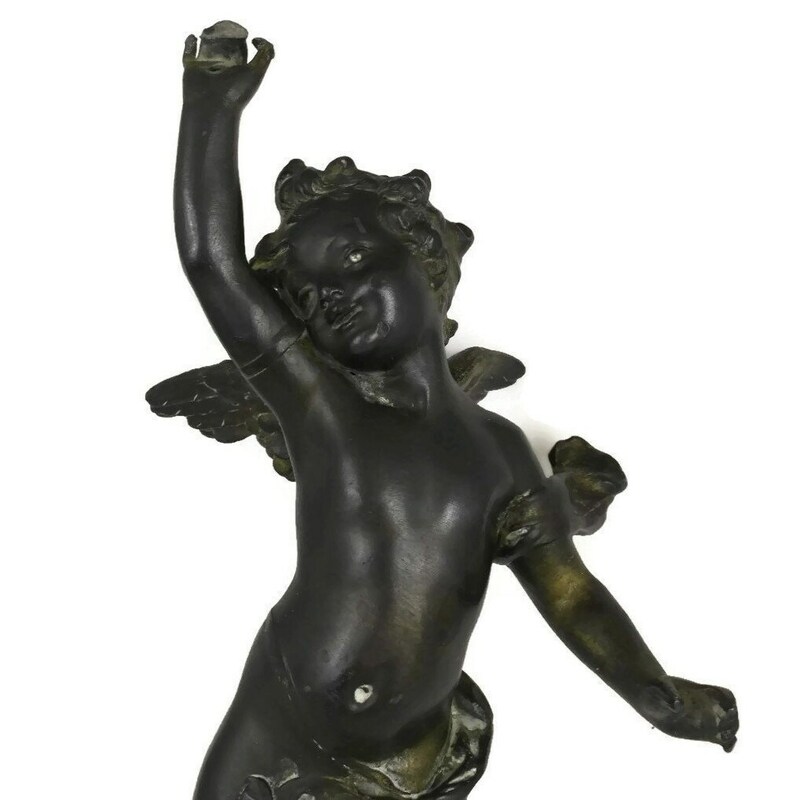 The antique angel will add an authentic antique French touch to your Christmas home decor. 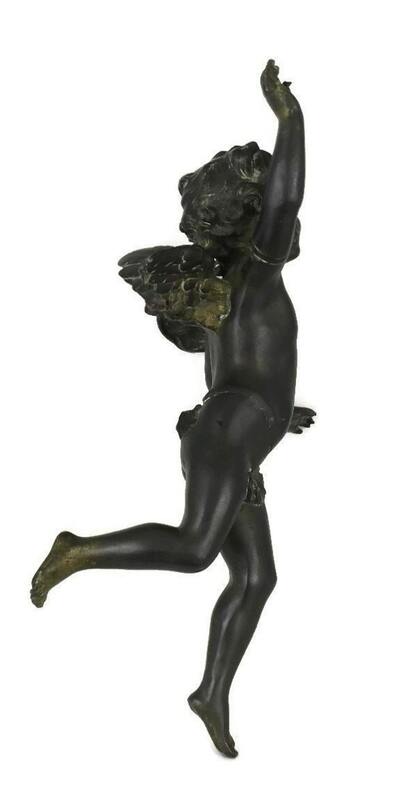 12.5" high x 7" wide. 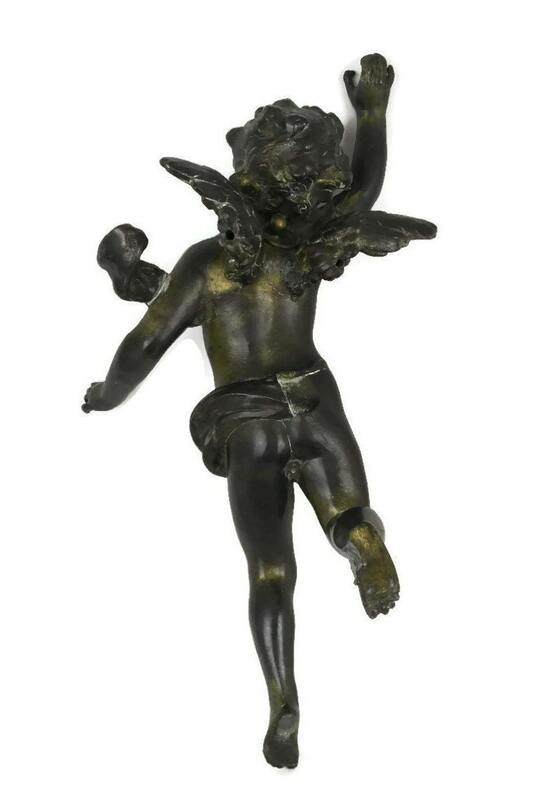 (32 cm x 17,5 cm). 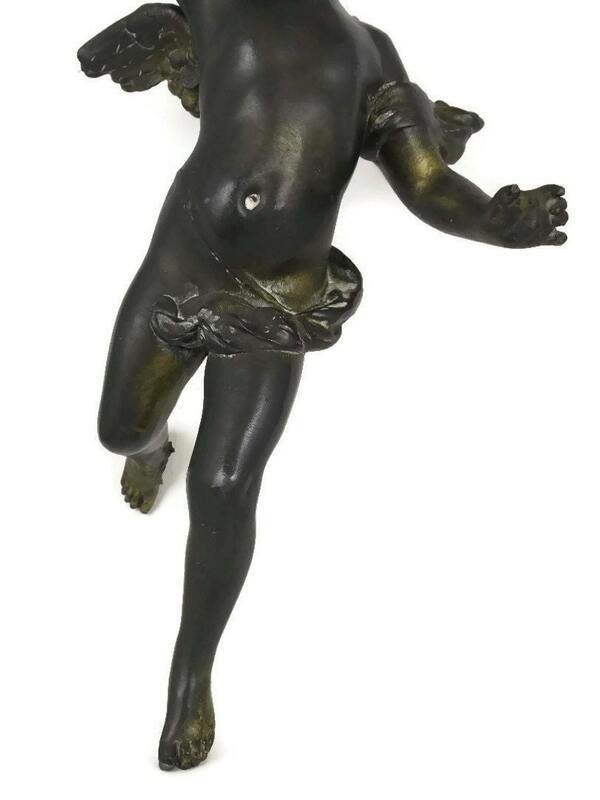 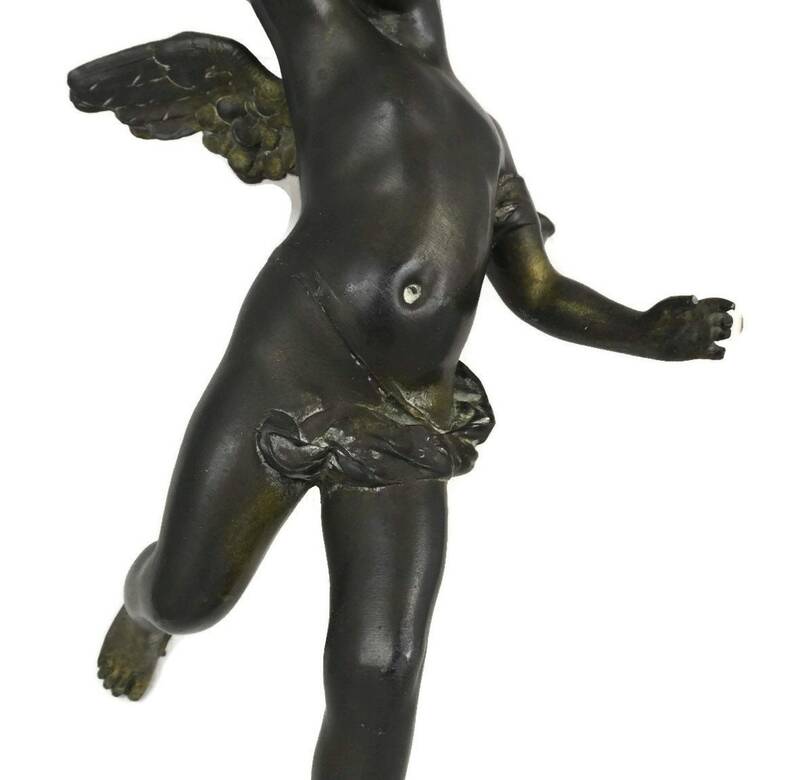 The antique French angel is in very good condition with some signs of age including surface wear and patina to the metal. 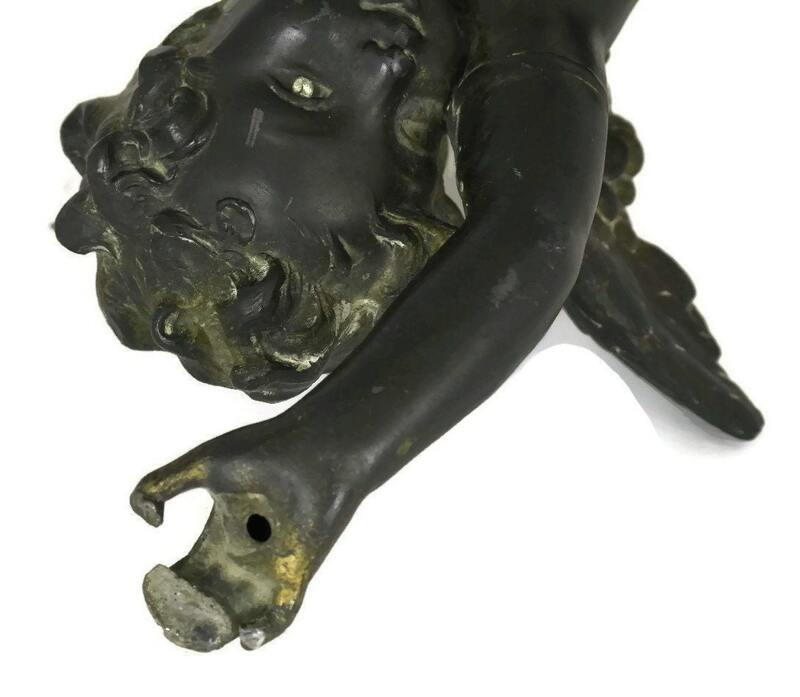 There are small holes and soldering marks to the hands, feet and back of the wings were the angel was originally attached to the chandelier.